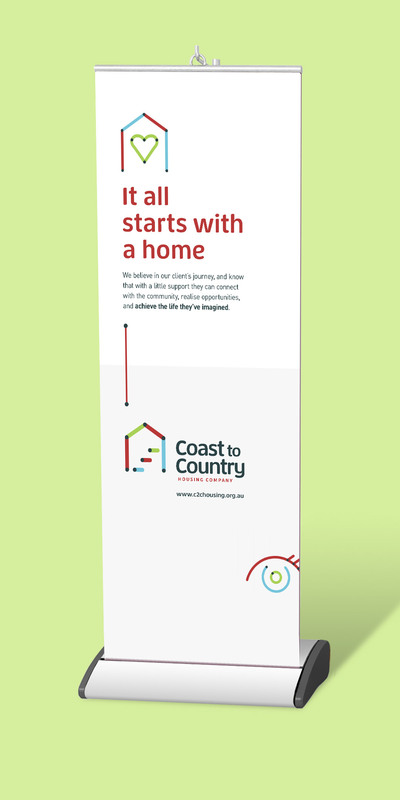 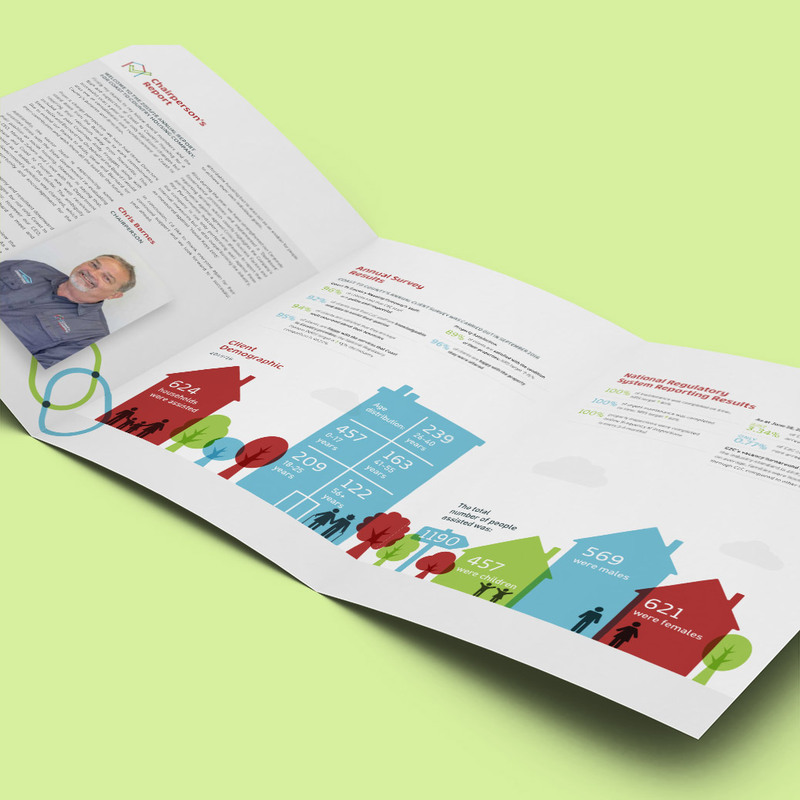 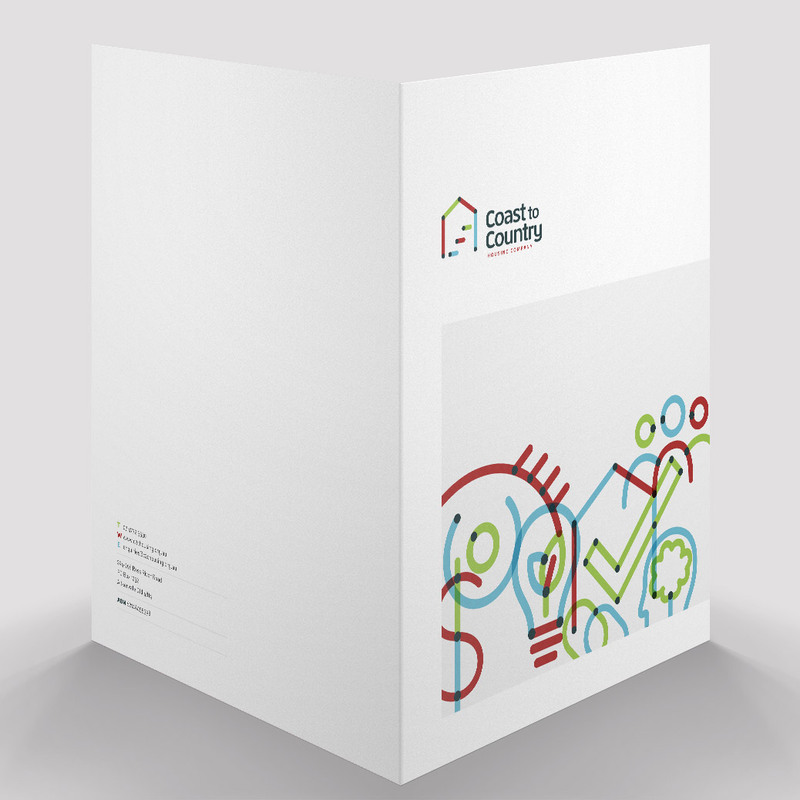 Since 1991 Coast to Country Housing Company (C2C) has grown extensively, from managing one program and 68 properties to the current position of managing nine programs and approximately 400 properties. 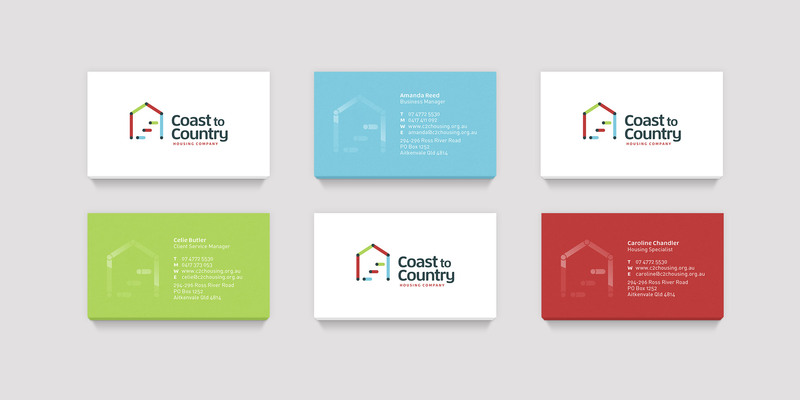 Whilst the evolution of C2C had been evident internally and probably only those working closely with the company, their brand identity had not evolved accordingly. 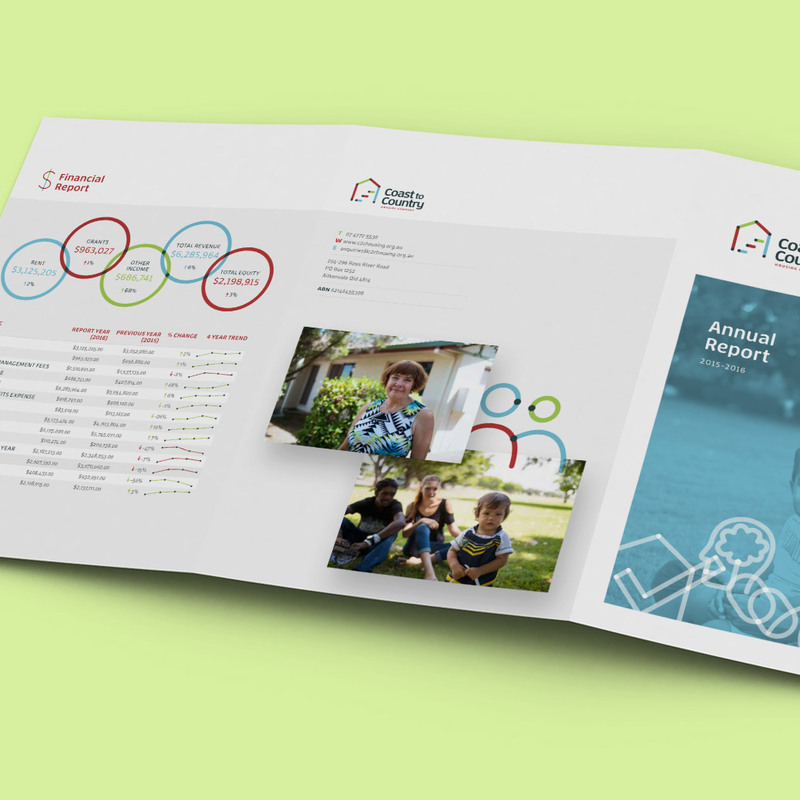 Apart from the logo (believed to have been created for free), there was a lack of strong visual presence or consistency across print and digital communications. 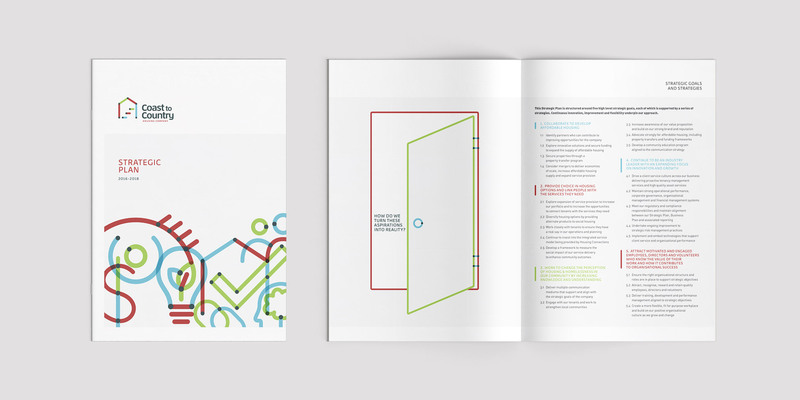 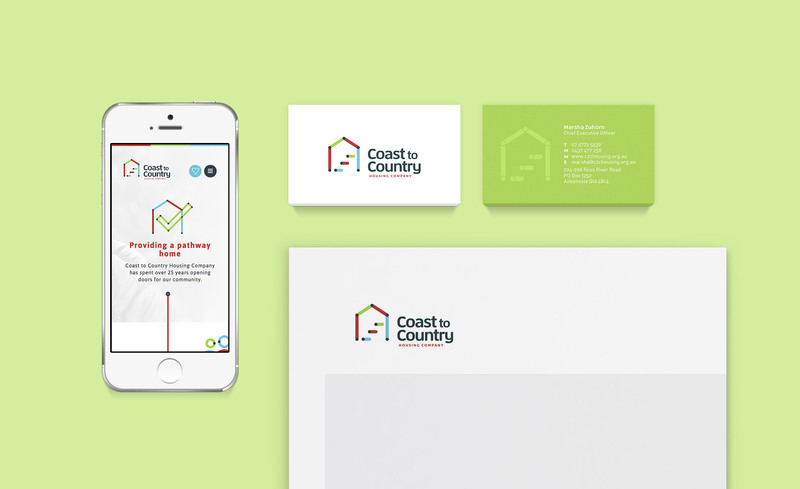 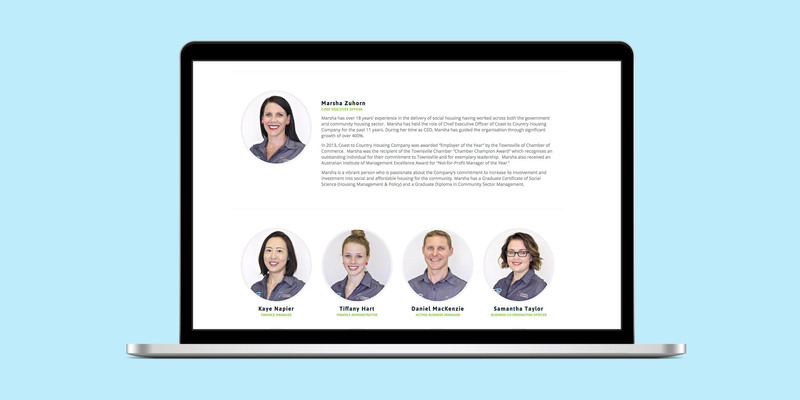 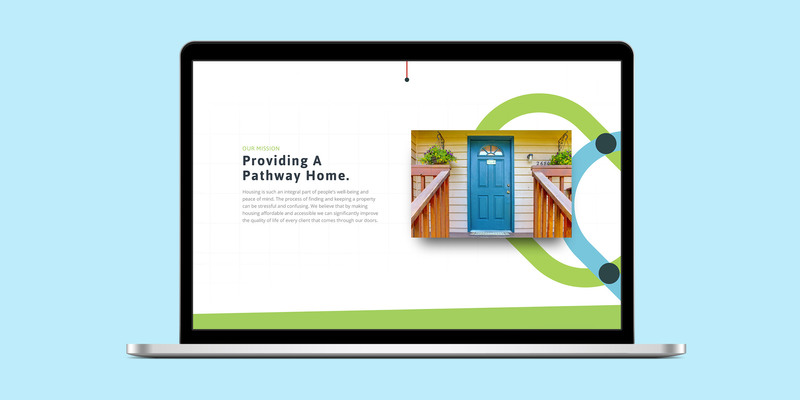 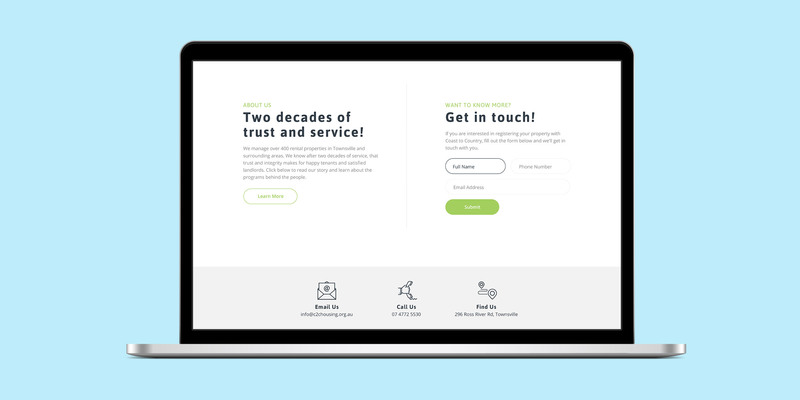 TBD worked with C2C to give the brand a complete overhaul, including logo, stationery, report templates, office signage, press ads, uniforms, digital and print collateral… the list goes on! 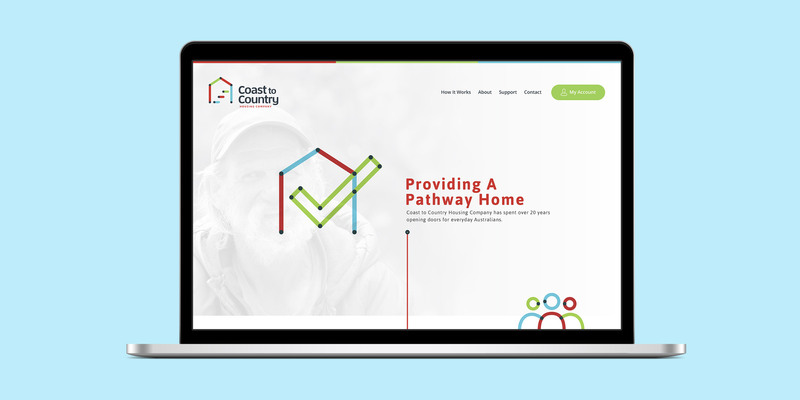 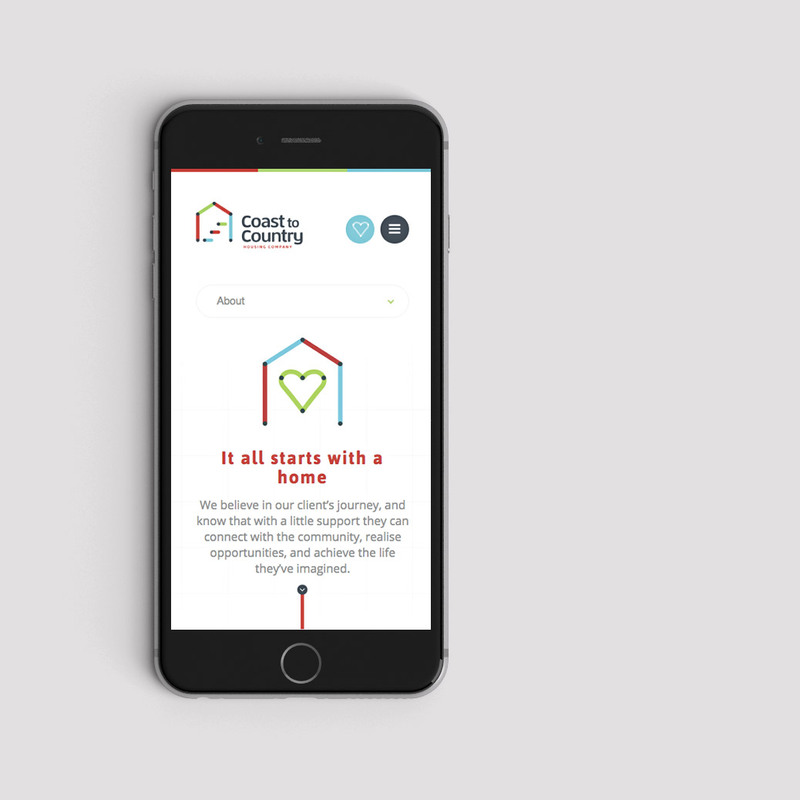 We also built a new website that was primarily client focussed but also assisted C2C staff manage their many daily activities. 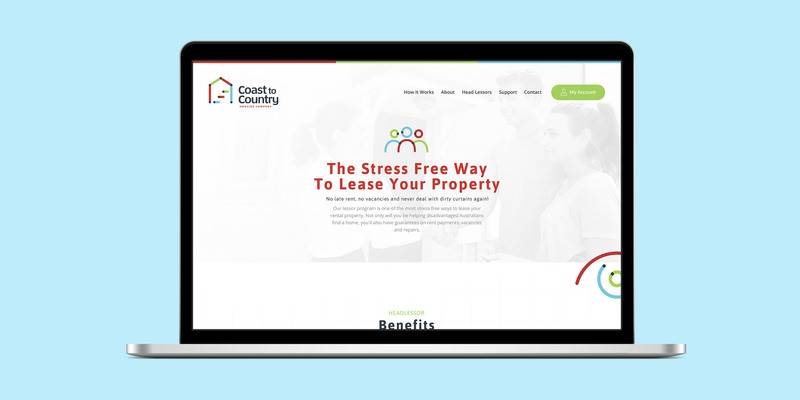 The extensive site offered a huge amount of information to tenants and lessors, offered support channels, feedback and maintenance forms, career opportunities and more. 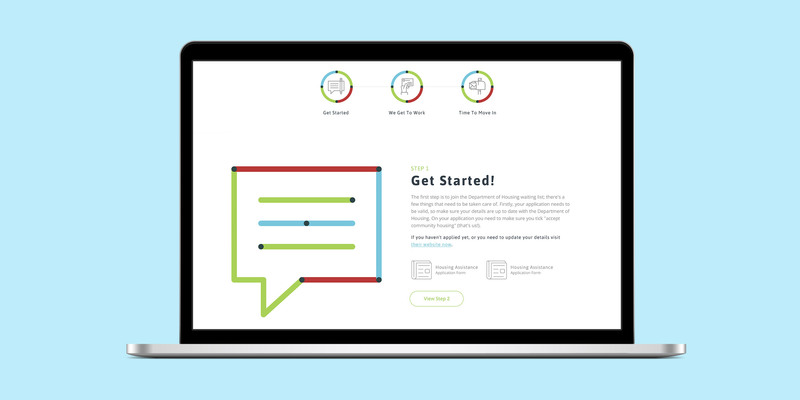 Looking to start a business, refresh your brand or develop a website? 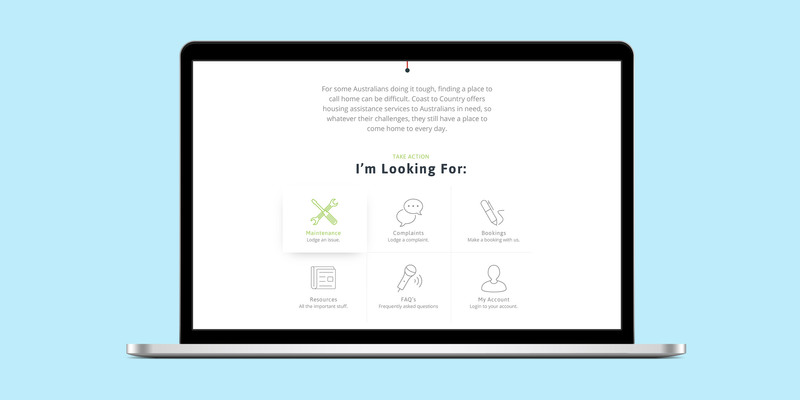 Simply fill out the form below and we'll be in touch to chat about your next project.